Højtydende JBL-enheder og nøjagtigt akustisk design leverer forbløffende lyd fra en kompakt højttaler. De optimerede lav- og højfrekvente enheder kombineret med avanceret elektronik og DSP leverer stereolyd i hele frekvensområdet med et bredt stereobillede – det hele fra et enkelt kabinet. JBL Authentic L8 leverer nem trådløs lydafspilning fra smartphones, tablets, computere og medieafspillere. 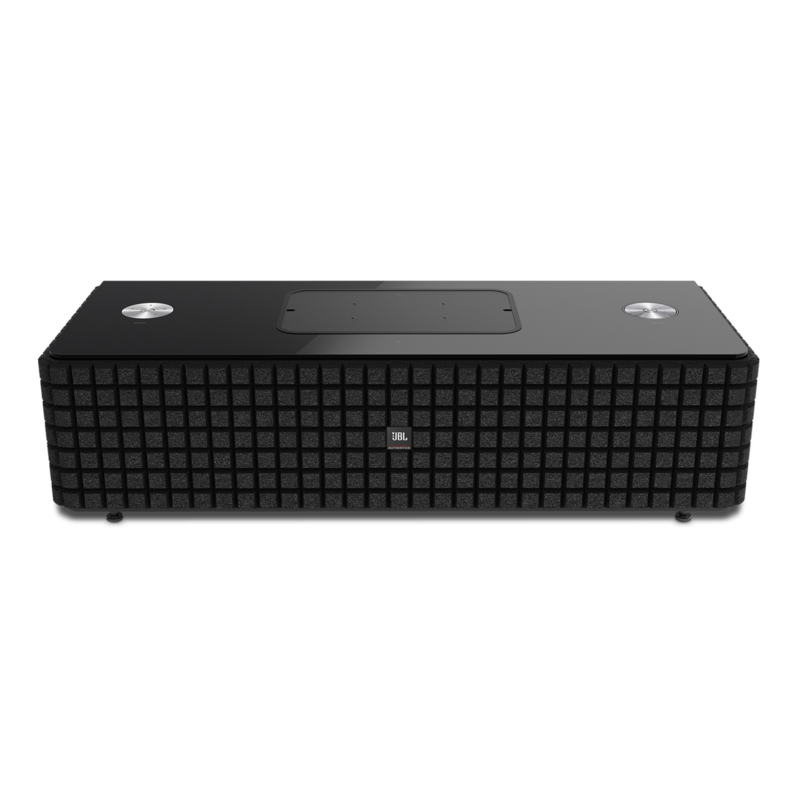 Produktet omfatter AirPlay til iTunes og iOS-enheder, DNLA til Android-enheder og Windows-pc'er samt Bluetooth® – herunder øjeblikkelig Bluetooth®-parring med NFC-teknologi (Near Field Communication). Højttaleren skifter automatisk streamingformat efter behov, hvilket forenkler brugen sammen med alle dine enheder. Stilfuldt udseende. Ukompromitterende lyd. Trådløs nemhed. Enkelt faktum: JBL Authentic L8 ændrer lyden af dit lokale for altid. Med inspiration i den legendariske højttaler JBL Century L100 kombinerer JBL Authentic L8 klassisk akustisk højttalerdesign med avanceret trådløs streaming af lyd. Med et pianolakeret blankt kabinet leverer L8 uovertruffen lydkvalitet, mens en trådløs forbindelse gør det muligt at udnytte en lang række enheder via AirPlay, DNLA og Bluetooth®. NFC-teknologi (Near Field Communication) lader dig parre en Bluetooth-enhed ved blot at trykke den mod højttaleren. I mellemtiden lader app'en JBL MusicFlow dig nemt konfigurere og kontrollere højttaleren med din iOS- eller Android-mobilenhed. Og produktet er ligeså alsidigt, som det er nemt: opladning af enheder, herunder tablets, via de indbyggede USB-porte. Med 120 watt RMS-effekt, JBL's særlige lav- og højfrekvente enheder, avanceret DSP-teknologi samt et frekvensområde på 50 Hz – 35 kHz producerer JBL Authentic L8 lyd i hele frekvensområdet samt et bredt stereobillede fra en enkelt stereohøjttaler. Harman Clari-Fi™ -teknologi erstatter detaljerne i nutidens komprimerede musikfiler og føjer detaljer og energi til alle musik-streams i lav kvalitet. JBL Authentic L8 er den perfekte ledsager til en hvilken som helst lydkilde og det ideelle lydsystem til enhver stue. JBL Authentics L8 is rated 4.0 out of 5 by 21. Rated 5 out of 5 by Jay Gibbons from Absolutely amazing system! I bought this product 4 months ago and have to say, it's the best money I've ever spent. The sound is ridiculous! When I have company, it usually takes my guests less than two minutes before they comment on the amazing clarity and bass. There has been times where it goes in and out while utilizing AirPlay. I've chalked it up to my router. If you're looking for a speaker that can fill a large room - this is it. I live in a flat that has a common area of about 700 square ft. It has absolutely no problem filling that space perfectly - at all volume levels. I will say, it doesn't sound nearly as good when playing music via bluetooth. If you're not going to use this with your wifi, not sure its worth the money - would be missing out on the true potential of the speaker. Craftsmanship of the unit is also pretty stellar. Nice solid/heavy construction. Rated 5 out of 5 by Spoonscott61 from Outstanding clarity of music This is such a great sounding unit I'am using mostly Apple Air-Play and the details of the music beats my two speaker and sub system. It is like rediscovering my music collection and hearing details In the music I have been missing. 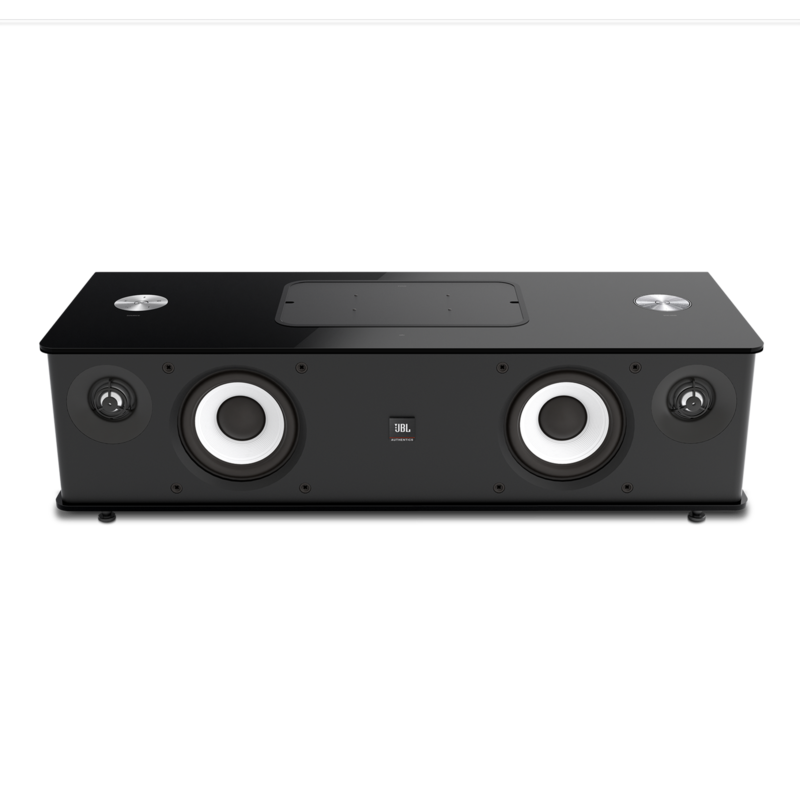 Rated 2 out of 5 by Sui3471 from Great product for the USA - not so for Europe Sound is fantastic, way better than rivals such as Sony SRS X9, and with the acclaimed connectivity, (spotify connect, direct internet radio etc) it should easily be the product of choice. Unfortunately for us mere mortals in Europe we don't get the same conectivity - so no Spotify connect, no direct internet radio, so it's only good for bluetooth and streaming from a NAS through 3rd party apps. Sorry guys otherwise brilliant product, you just let the Europeans down. Rated 1 out of 5 by EvilAttorney from Airplay Does not Work! Warning, the Airplay feature for the L8 simply doesn't work. While it is fairly easy to get the L8 to connect to your wifi network, it only shows up as an Airplay device on some apple products/apps. When it does show up, trying to play audio to it results in an error and the L8 will disconnect from the wifi network. I spent hours trying to get this to work properly, testing with an iPad, iPhone, and Mac Air, and just about every different setting on my router (e.g., different wifi security encryption, static IP address, etc.). I was unable to get Airplay audio to the device, no matter what I tried. Bluetooth does work. Extremely disappointing considering how much this unit costs. With regard to the sound quality, the default sound profile has the bass extremely high relative the the mid and treble. This is one of the most unbalanced set of speakers that I have come across. Luckily, you can adjust the EQ with the JBL app, which makes the sound more reasonably balanced. Rated 4 out of 5 by Flowskilled from Toller klang aber Bedienung hakt hier und da Ich bin begeistert von dem klang auch wenn ich den JBL Authentics L16 schon zuhause hatte und hier noch etwas mehr Druck bei den Tiefen und Klarheiten bei den Höhen empfunden habe. Was mich jedoch gleichermaßen stört ist die Bedienung, das Gerät geht bspw. Nur sporadisch von alleine in den Standby. Oder es lässt sich nicht per Bluetooth aktivieren... gut hierfür gibt es für mich noch AirPlay, daher vernachlässigbar. Die Lautstärke Regelung ist für mich leider auch zu grob (gefühlte 10 Schritte), grade wenn man zum einschlafen Musik hörst ist es schwierig die richtige Lautstärke zu finden.